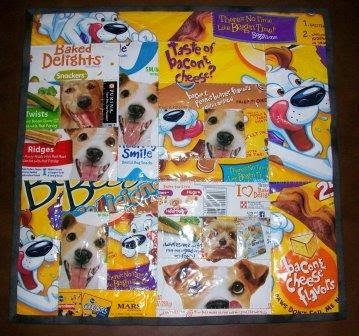 This small quilt, 16 in X 16 in, is made using dog treat bags for the quilt top. 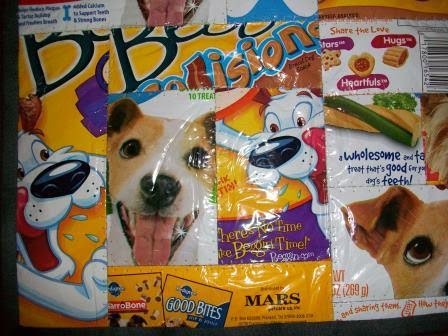 The quilt back is part of a dog food bag. The batting is Hobbs Heirloom. 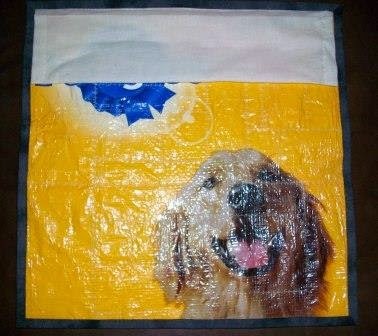 I used cotton fabric for the binding. It is machine pieced and quilted. It has been entered into the Quilt Alliance 2015 contest. This year’s theme is Animals We Love.